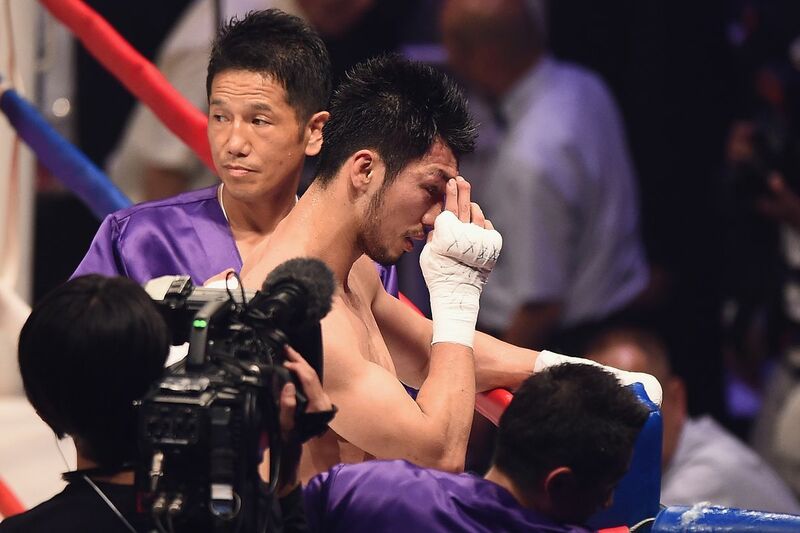 It was shaping up to be a terrific day for Japanese boxing. In Nagoya, 21-year-old Kosei Tanaka (9-0, 5 KO) successfully defended his WBO light flyweight title against Puerto Rican bruiser Angel Acosta (16-1, 16 KO), dropping him midway through on his way to a wide unanimous decision. Over in Tokyo, meanwhile, Kenshiro Teraji (10-0, 5 KO) scraped past Ganigan Lopez (28-7, 17 KO) to take the latter’s WBC light flyweight belt and Daigo Higa (13-0, 13 KO) beat down Juan Hernandez Navarrete (34-3, 25 KO), who lost his WBC flyweight title on the scale, in the sixth round. Olympic gold medalist Ryota Murata (12-1, 9 KO) appeared to have capped the day off with a strong performance against Hassan N’Dam (36-2, 21 KO), dropping the wily veteran and overpowering him in the later rounds, only for the judges to give N’Dam the decision and the WBA middleweight title. The middle bit might take a while, as the commenters are busy giving him grief for giving Paul Smith a shot at Tyron Zeuge’s light heavyweight title. One Twitter user noted that Gustavo Padilla, who gave N’Dam nine rounds, had previously given Beibut Shumenov the nod over Bernard Hopkins and scored Danny Garcia vs. Mauricio Herrera a draw. Can we please just have some damn accountability? Literally the only times I can remember any sort of justice were when the three judges for Paul Williams vs. Erislandy Lara rightfully got the boot and when Tony Perez gave Nick Brinson a 10-8 round for getting knocked down by Ievgen Khytrov.